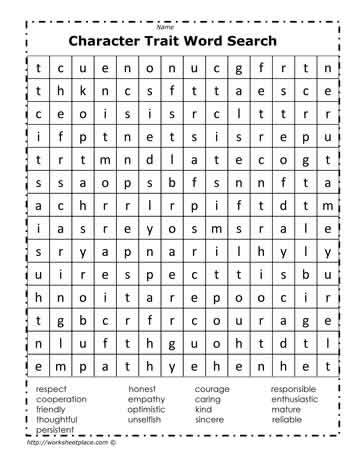 Use the wordsearch character traits worksheet for a quick bell work activity. Wordsearches don't typically lead to any learning but are often fun for children to do as bell work or when they finish their regular work. However, these character traits can be a focus all year.